You might remember the budget tablet that was announced by Ainol which was hoped would be priced around $100. Well its now been made available for pre-order, but the price has increased a little to $120. Which is still a great price for a 7 inch tablet running Android 4.0. For the money there are obviously going to be a few areas which aren’t quite up to scratch and a 800 x 600 screen resolution might not be perfect for everyone. However it is equipped with a 1GHz JZ4770 Xburst MIPS processor supported by 512Mb of RAM. Together with 8GB of internal storage and a Vivante GC860 graphics processor with support for 1080p HD video playback. 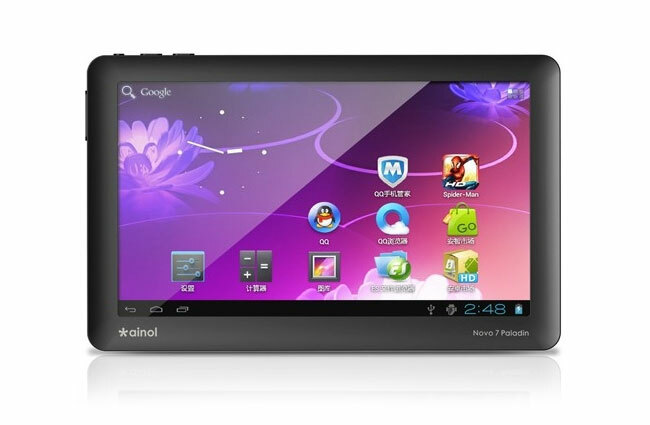 The Ainol Novo7 Paladin Android Tablet is now available to pre-order from PandaWill and Merimobiles for $119.99.